Have you ever played the classic board game of Battleship? Whether your answer is yes or no, you’re going to have a fun time with Sea Battle 2 naval game for PC! This online sea battle game follows the same formula of the board game with some brand-new twists that makes it relevant to this day and age. It also implements some crazy tactics as well to make matches faster to finish and more ways to blow your opponent! If you are looking for a great naval warfare simulation game, Sea Battle 2 is the one that will get you some naval action. Play the game in either Player vs AI, Player vs Player Online or Player vs Player Bluetooth. You get to earn brand-new units by progressing through the game! New ships, vanguard fleets, and artillery are waiting to be unlocked in Sea Battle! Make your own strategy and be the king of the seas in Sea Battle 2. Be the master and commander and conquer the seas by downloading the game here on Games.lol! Learn strategies on how to play the naval warfare battle game directly on your PC as you read on our coverage of Sea Battle 2. If you’re looking to relive the glory days of Battleship, you’re going to have a nostalgically smashing time with Sea Battle 2! What used to be a sea battle flash game is now a fully-fledged online sea battle game! Engage in a 1v1 game with a friend or an AI as opposing Commanders. The first to execute his strategy and sink the whole fleet wins in Sea Battle 2. These units can be placed anywhere within the grids, whether horizontal or vertical. Once both players have finished plotting, it’s time to play the game. The first player must guess where the enemy’s ships are located. He must call out the coordinates of 1 block (i.e. B-8 or E-3 or A-1). If the guess was right, the enemy’s ship takes one block of damage. For every call, it is equal to 1 turn. The guess will always be a 50/50 chance to hit or miss but if you’re an experienced player, we guess you never miss huh? Prove your skills in this complex naval warfare simulation game. 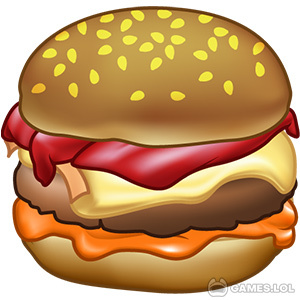 Coming along the traditional gameplay are fresh mechanics that can turn the tides of battle. This time around, you can have side options of calling in an artillery strike that can destroy 6 blocks as an area-of-effect. Want the doomsday device? Use a Fat Man to obliterate half of your enemy’s grid! Is plotting the grid too long in the beginning? Let the game do it for you by pressing the Random button to chart out your fleet in one go! These features make it one of the best sea battle online PC game ever made! This is the pinnacle of naval warfare simulation battle games. Sea Battle 2 can be played with either the computer or another player that you can matchmake with. Do not underestimate offline mode: the enemy AI is smarter than you think. If you have a friend with you, you can always connect via Bluetooth to play in Ad Hoc mode! Experienced players know this too well. If you’re planning on putting any unit on the A-1 chart, you’re putting your ship on death row. Everyone knows that A-1 is a no-no in Sea Battle 2 because it is the easiest chart to target. That goes for any naval game for PC. Go for something more complicated like anywhere in the middle such as C-5 or D-3. But as for A-1? Never go for that. Only use them for when you really need it the most especially online. Yes, artillery strikes are game-changers but acquiring them happens in seldom moments. The easiest way is to buy them with real money but you wouldn’t want to do that. Use artillery strikes for when you are losing a game and want to turn the tides of battle. It’s always best to disperse your ships within the grid. Doing so will lessen the probability of your enemy to hit your fleet consecutively. Once your enemy hits one block of your ship, chances are, he’ll be thinking the rest of your ships are within that circle. The best defense is to make unpredictable plots. Just don’t put your ship on A-1. Download and play this Sea Battle 2 game now on your PC for free! For more fantastic action games, you can also check out Tanks A Lot! 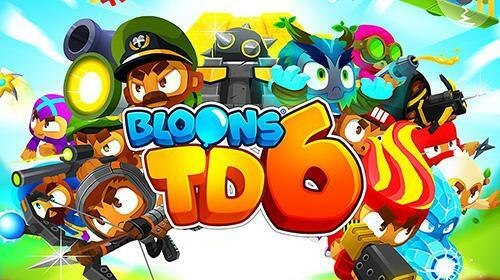 or Bloons TD Battles here at Games.lol! your Sea Battle 2 installation.